JOINT BASE ELMENDORF-RICHARDSON, Alaska (AFNS) — Power: the strength to make a decision. Control: the means to carry it out. These things are the currency of freedom, and what are robbed from sexual assault victims. So what can a victim do when power and control of their body has been taken away, when their voice has been silenced? There’s a plethora of resources, each with their own unique role and the SVC is one of them. 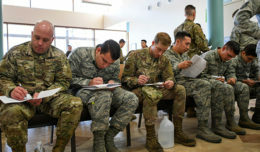 In January 2013, the Air Force became the first U.S. military service to institute an SVC program. The driving force behind the program was Lt. Gen. Richard Harding, then-judge advocate general of the Air Force. While support for the victim was there, many felt that support could be fortified. So what does an SVC actually do? As it turns out, the answer is not nearly as simple as the question. The SVC does a lot of things, and their role largely depends on the unique needs of the particular client. Sometimes that even means not seeking a conviction. When reporting sexual assault, there are two paths one can take. They can choose to file a restricted report or an unrestricted report. The SVC can help with either case; however, the capacity they serve in depends on the type of case the victim has filed. The main difference between the two is that an unrestricted report may spark a legal investigation process, whereas a restricted report does not. In both cases, privacy and confidentiality are given a high priority. If one wanted to file a restricted report with the Sexual Assault Prevention and Response office, they have the option to request legal advice from an SVC, even before filing the report. By doing so, the SVC is giving the reporter the power to make a well-informed decision when deciding whether or not to go unrestricted with their report. In an unrestricted report, the SVC serves as the victim’s attorney throughout the military justice process. This relationship is completely voluntary; a reporter of sexual assault can choose not to be represented by an SVC or decide they want an SVC at any time during the reporting process, Lake said. 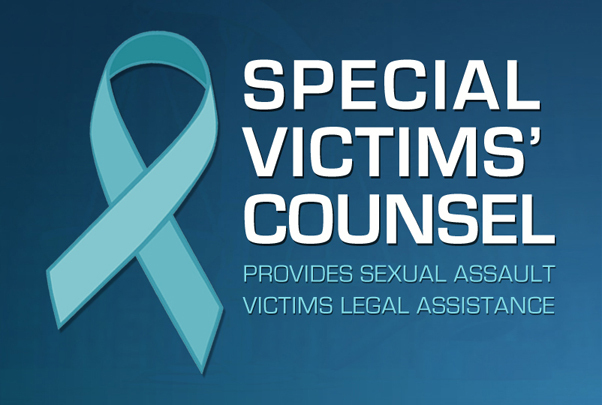 Throughout the entire reporting process, the victim should be informed of the benefits an SVC can provide them and advised on how to procure an SVC’s assistance. However, SVCs cannot solicit cases, so they will not come to the victim, the victim must reach out to them. 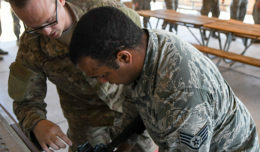 The SVC is one way the Air Force continues to refine itself so every Airman, civilian employee and family member is equipped by their inalienable rights for a fair justice system. 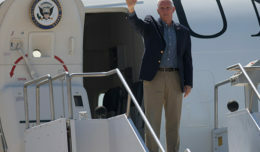 “I think it’s important for everyone to understand the SVC program; and giving victims a voice doesn’t mean the victim’s voice is what should control everything that goes on,” Lake said. “It just means they get their say too. Talking to an SVC may be a victim’s first step toward taking back their power.